Western Reserve Land Conservancy, in collaboration with the City of Cleveland, surveyed all of the more than 158,000 residential, commercial and industrial parcels in Cleveland – and the buildings associated with them – to provide an updated snapshot of the condition of those properties. 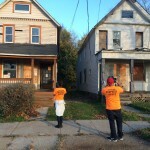 The survey results indicate that without the aggressive effort of the city and its partners to reduce blight in Cleveland neighborhoods, the number of vacant and distressed properties would be much higher. The citywide survey, which began in June 2015, was conducted by Land Conservancy in cooperation with the City’s Department of Building and Housing, Cleveland City Council and local community development corporations. 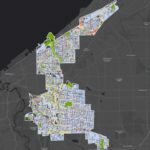 According to the Land Conservancy’s Director of GIS, Paul Boehnlein, a 16-member staff, consisting of mostly Cleveland residents, worked to survey all of the more than 158,000 parcels in Cleveland. Information about each parcel – including its vacancy status, the condition of any structures on it and a photo – was recorded on a tablet computer. If surveyors were approached by local residents and neighbors, they recorded those anecdotes along with the data about each property. 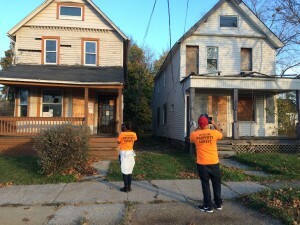 On-the-ground data collection for the survey of Cleveland ended in October 2015. The Land Conservancy then began the second phase of the project in which they compiled the data and performed quality assurance checks. The Land Conservancy is now entering the third phase of the project in which it will further analyze the data and share key findings with community stakeholders. 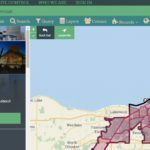 Raw data has been made available to building and housing practitioners and community development corporations through Case Western Reserve University’s Neighborhood Stabilization Team Web Application and to the general public on Cleveland.com. Over the next two months, Land Conservancy staff members will continue to meet with City of Cleveland leaders and community development corporations to review key findings. Over the next four months, additional data, including home sale, health and crime statistics, will be analyzed alongside the property survey results. The results of the property inventory performed by the Land Conservancy indicate that 71 percent of Cleveland’s residential, commercial and industrial parcels contained occupied structures. Approximately 8 percent of parcels were found to have unoccupied, vacant structures. An additional 18 percent of parcels were vacant lots. Of the 112,897 parcels containing occupied structures in the City of Cleveland, over 84 percent were graded A (Excellent) or B (Good). These structures are considered to need only minor improvements, if any, and appeared to be cared for and well maintained. Of the 12,179 parcels containing vacant structures in the City of Cleveland, 37 percent were graded D (Deteriorated) or F (Unsafe or Hazardous). These structures may exhibit characteristics including major cracking; rotting wood; broken or missing windows; missing brick and siding; and open holes. The interactive map below shows these distinctions; click on parcels to see additional survey data. NEIGHBORHOOD ANALYSIS: Neighborhoods with the highest percentage of vacant D and F properties include: St. Clair-Superior (11.9 percent), Kinsman (9.8 percent), Glenville (9.2 percent), Hough (9.2 percent) and Buckeye-Woodhill (9.1 percent). Neighborhoods with the lowest percentage of vacant D and F properties include: Kamm’s (0 percent), Edgewater (0.1 percent), and Jefferson (0.2 percent). When residential vacancy rates are compared to median sale prices of properties, the Land Conservancy found that lower median sale prices do tend to be in the neighborhoods with highest vacancy, and higher median sale prices tend to be in the neighborhoods with lowest vacancy. REDUCTION IN VACANT AND DISTRESSED PROPERTIES: Demolition of blighted properties is known to help stabilize neighborhoods by restoring value to surrounding homes. While the Land Conservancy does not demolish houses, it does advocate for the removal of vacant and abandoned homes. The number of vacant residential properties graded D or F (3,809) combined with the number of residential properties condemned by the City of Cleveland graded at C or higher (1,437) is 32 percent lower than the 2013 estimate of vacant and distressed properties produced by the City of Cleveland Department of Building and Housing (7,771). Interest in a citywide survey grew last year when the Land Conservancy partnered with the Saint Luke’s Foundation to complete a study of the Buckeye and Mount Pleasant neighborhoods in Cleveland. 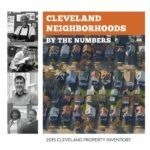 Funding for the Cleveland citywide property survey was generously provided by The Cleveland Foundation; Cleveland Cavaliers, Quicken Loans and Rock Gaming; and Cleveland City Council. Data collection support was provided by Detroit-based Loveland Technologies. Community development corporations across the city provided work space for the survey team throughout the project. 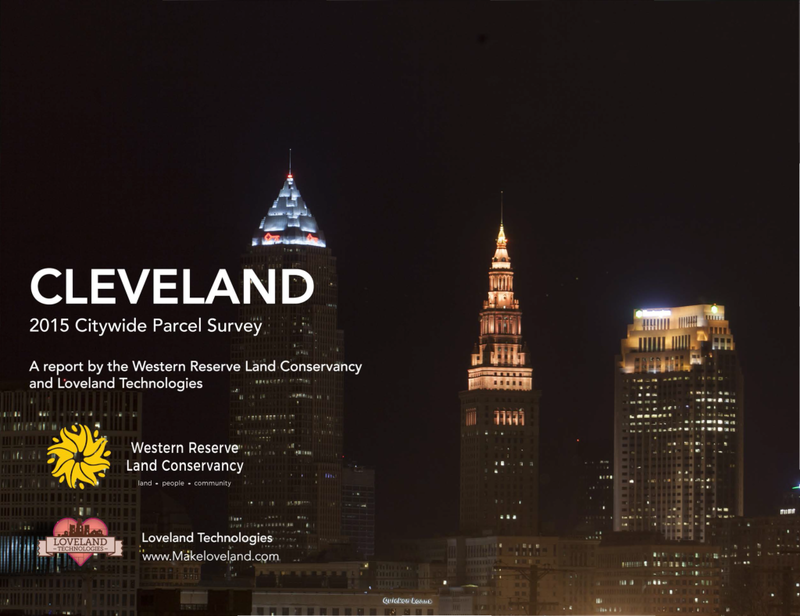 Click the image below to see a report of the Cleveland Property Survey Results prepared by Western Reserve Land Conservancy and Loveland Technologies.